After nearly three months of campaigning for living wages, OVNV parents and supporters were met with rewarding news. On September 20, 2018, the Orleans Parish School Board (OPSB) voted to raise the minimum wage for child nutritionists to $15 an hour. What led to this change within the New Orleans school district? Parents. Wanting to ensure the best education for their children, parents recognized that it must start by treating all staff fairly and justly. At the June 2018 OPSB meeting, an OVNV parent spoke to the board about her concerns over the proposed pay scale, and demanded a minimum of $15 an hour. OSBP began to work with OVNV to find a way to reach $15 an hour. After 2 months of work, OPSB voted to spearhead the fight in our city’s education for a $15 minimum. Under the minimum wage raise, food service workers will receive a raise of as much as $11,000 this year. This does not just affect the staff at OPSB’s 2 direct run schools, but also at the 13 other school campuses that OPSB contracts it’s child nutrition services to. This $15 minimum wage is a great first step towards ensuring a livable wage for all school employees across the city, and we look forward to continuing to fight. Thank you OPSB for your leadership and thank you to the parents who continue to fight against the inequity seen within our school system. CONGRATULATIONS TO ALL OF THE AMAZING FOOD SERVICE PROFESSIONALS! of the disparity between low-wage women workers and their middle class counterparts is due to a failure to adequately raise the minimum wage. Accounting for inflation, today’s low-wage workers earn less per hour than their counterparts did 50 years ago. Failure to adequately increase the minimum wage accounts for 48 percent of the increase in inequality between low-wage women workers and their middle class counterparts since 1979. A $15 minimum wage has been shown to begin to reverse this inequity. 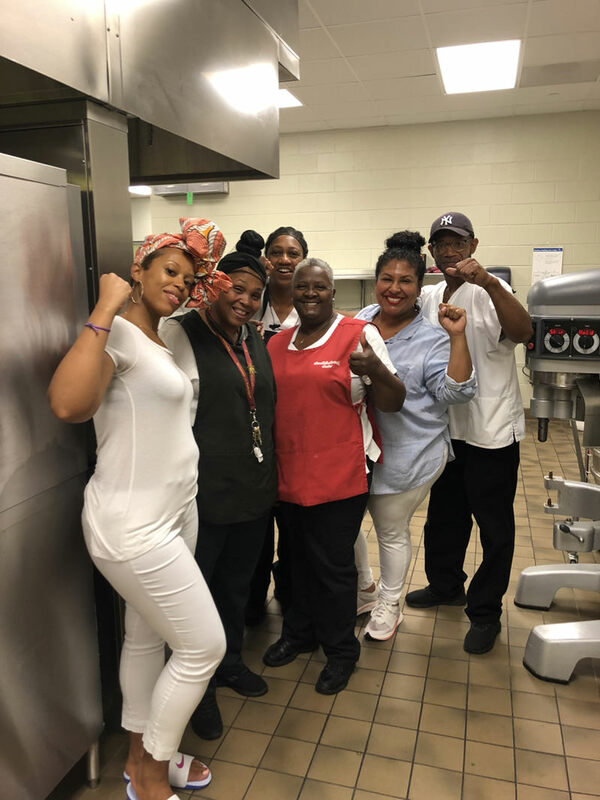 With OPSB’s vote to increase its minimum wage for food service workers, it has placed New Orleans as a leader in Louisiana, and in the south, in creating more equitable wages for workers. We need to ensure that ALL school staff are receiving a wage that they can live off of and support their own family with!